No matter what hair length I have – currently just on the shoulder, for the record – I love a lot of volume, and for evening, I like to go BIG! Wearing my clip in extensions is always fun and gives great hair thanks to the fact that they were cut to expertly match my hair’s shape and colour thanks to Lauren Gunn from Stephen Marr, but even without I like a bit of size and movement. The neck and décolleté are two of the most neglected areas on the bodies of a lot of women I know, yet they are also two of the first spots to really give away your age. So many of us stop our skincare at the jawline and treat the legs and the arms with a body moisturiser and be done with it, then face the possibility of laser treatment or similar to hopefully “fix” any damage once it becomes impossible to ignore. 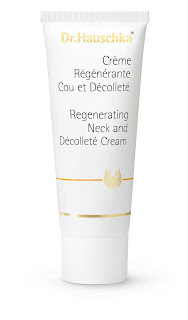 Thankfully for us then that the internationally acclaimed team of scientists at Dr.Hauschka have created Regenerating Neck and Décolleté Cream, which is the newest edition to Dr.Hauschka’s hugely successful Regenerating Range, which was launched in 2008. I started using this beautifully rich cream recently and can honestly say that the results are already starting to show. Despite the fact that I’m a religious user of sunscreen on the neck and décolleté the dehydration after several months in the sun was starting to show, and it was the perfect time to get things healing. The luxurious new cream works by unleashing a potent and unique combination of precious natural ingredients to help retain moisture and firm the specific neck and décolleté area, which loses elasticity and becomes prone to wrinkles and discolouring as the skin matures. The super rich, creamy moisturising texture includes Field Horsetail containing silica, which quickly absorbs into the skin and has a firming effect on the neck and décolleté connective tissue without leaving behind a greasy feel. 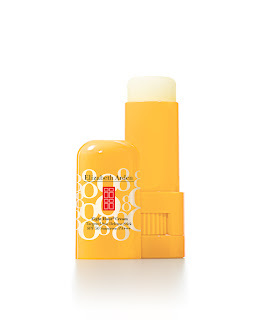 Add to that moisture-balancing Marshmallow, Birch Leaves and isoflavone-rich Red Clover extracts to help enrich the skin with moisture, while eight plant oils, including Macadamia Nut oil and Argan oil, also provide an extra boost to help counteract the signs of aging. 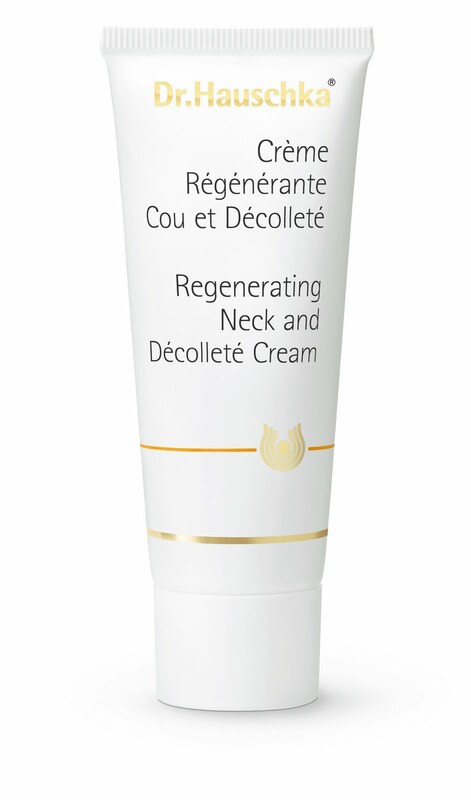 After just a few days’ use my neck and décolleté looked and felt softer and firmer, and any crepiness that was starting to creep in had totally disappeared. If that sounds like your concern then I recommend you grab a tube of this magic stuff, and it goes without saying that its formula is all natural and good for the planet too. Arriving April 4: Get Viva Glam Gaga 2! Everyone who knows me well – especially the facialists I see regularly – knows that I love using oils on my face, my body and my hair. 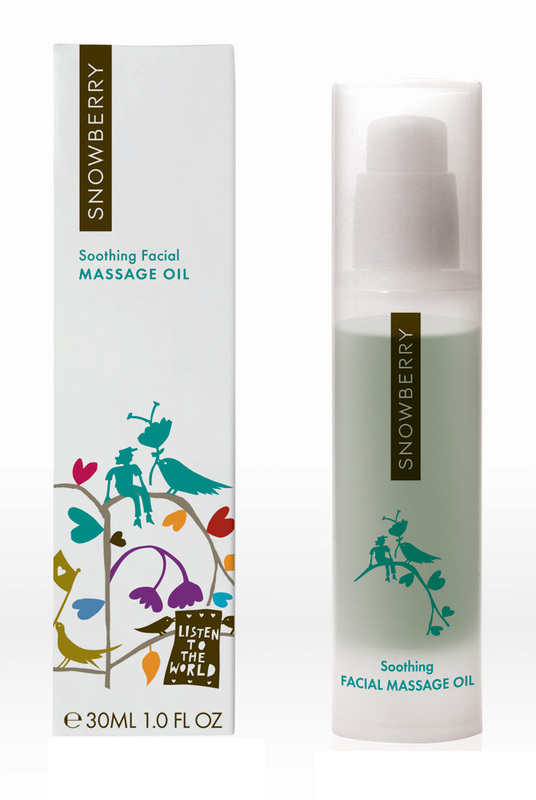 I’m always on the hunt for the next great one on the block, and my latest great affair of the heart is with Snowberry’s Soothing Facial Massage Oil. 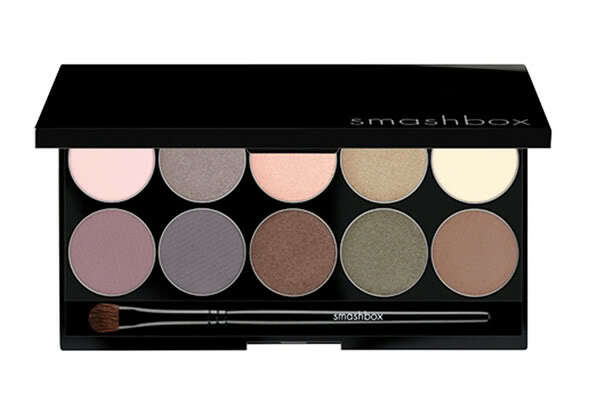 Snowberry is a brand that I met and fell in love with when it was launched in New Zealand almost five years ago, and to this day I stand by the statement that it is our country’s best – and most luxurious – all natural brand. And we certainly do natural and organic well, which further illustrates just how great Snowberry is. It is still relatively boutique in its home country, but in Europe is a runaway hit – a key ingredient in the facials carried out all around Europe is the aforementioned oil – and can be found in some of the finest spas and department stores. A few weeks ago I applauded the release of Snowberry’s first sunblock and they have some exciting new releases coming out this year, but more of that later - I’m here to sing the praises of this marvellous oil! A rich and easily absorbed blend of precious plant oils and anti-aging plant extracts, it is especially suitable for dry and sensitive skins, helping to reduce inflammation and irritation. It can also be worked into virtually any skincare regime when you feel like your skin needs a boost, which is why I’m using it right now in place of a night cream to great effect. It’s also super simple to use – I gently massage the oil into my face and neck as required and if necessary, pat dry with a soft tissue. I know women who have been using oils in their hair for years now, but it was the now cult product Moroccanoil that really bought the traditional treatment to the mainstream’s attention and assured us all that - used correctly – oil can be your crowning glory’s saving grace. It took global haircare giant Kérastase to take things into the luxury arena however, with the release of the truly divine Elixir Ultime onto the European and American markets last year. I was lucky enough to have some rubbed gently through my locks at a salon in Europe whilst on holiday there in November, and loved it so much that I came home cursing that I hadn’t added a few bottles to my luggage. Fast forward to February however and it’s finally been released in New Zealand, thank god! And upon first use it really is as great as I remembered. Pracaxi Oil - Originating from the Amazon (home of many an amazing beauty and health ingredient) Pracaxi oil is known for its benefits on skin. It’s a powerful cocktail of emollient and active anti-oxidant ingredients that work to bring shine, nourishment and condition to the hair. Argan Oil - One of the rarest oils in the world, Argan oil originates from Morocco and is the base of the now famous Moroccanoil. It is prized for its reparative and regenerative properties and helps to restore the vibrancy and strength of the hair. 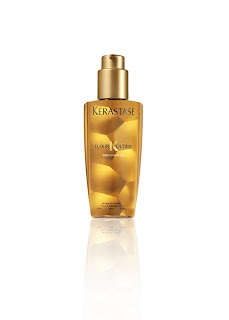 Maize Oil - A Kérastase heritage oil, Maize oil was the star ingredient in Kérastase’s first ever hair mask “Masque Maïs”. Rich in vitamins A, E and Omega 6, it offers the hair advanced emollient and active anti-oxidant ingredients for shine, suppleness and protection. Camellia Oil - Drawn from camellia flowers from Central and Eastern Asia, Camellia oil is the most fragrant and luxurious of the oils. It is also a source of Vitamin F and fatty acids Omegas 3 and 6, helping to smooth the hair fibre and give shine and suppleness. 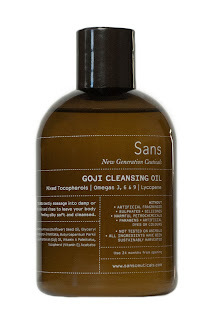 One of the nicest cleansers I’ve ever used was one a Philosophy one picked up a while ago now from Sephora when I was in Los Angeles, called Purity Made Simple. An award-winning daily facial skin cleanser, it is formulated to gently cleanse, tone and melt away all face and eye makeup in one simple step, while lightly hydrating the skin. I was very excited then to hear the good news that this gorgeous formula is now available as a cleansing wipe too, for all of those late nights, post-gym visits and early starts that necessitate a bit more haste than the usual cleanser allows. 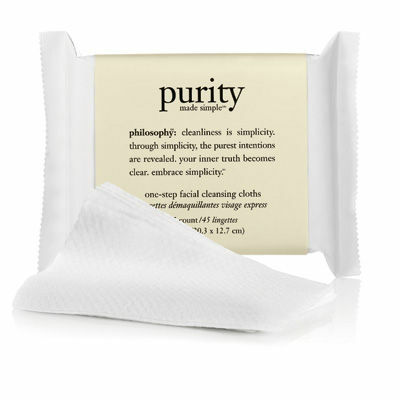 Called – naturally - Purity Made Simple One-Step Facial Cleansing Cloths, they come as a resealable pack of 45 ultra-soft, oversized cleansing cloths that take simplicity to a new level. Keeping an eye out for: brand new SANS! 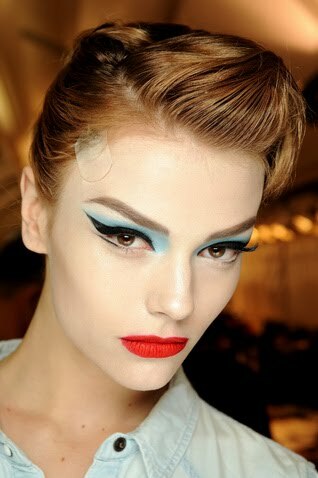 Daily delight: finally getting my Minx on! I’ve had some great manicures in my time, but none that has elicited such a huge reaction from strangers as my first encounter with Minx! Within five minutes of leaving my appointment with the lovely Hayley at Magic Tan & Beauty I had not one but two women stop me in the street and saying, ”wow… I love your nails!” Admittedly the Minx nails I had chosen were pretty eye catching – the animal print Golden Lightning Cheetah, the top seller worldwide – but when having nail art applied I don’t see the point in doing subtle! Magic Tan & Beauty applied Minx nails for recording artist MIA when she was in town for the Big Day Out, and she was already familiar with this super cool product. My cheetah-print nails were applied in less than 45 minutes, mainly because - despite its perfect finish – Minx is not nail polish at all! Instead, foil appliques are applied to each nail and sealed in by a heat lamp after a thorough prep of your nail bed and cuticles etc. They are then filed to fit your natural nail shape and length, which for me is a reasonably short “squoval” i.e. a squared off oval. For me a long nail with this type of treatment can look a little too “Jersey Shore” – not that I’ve got anything against Snooki and pals, but I’m just not that exciting! Minx nails don’t chip and last for about a week and a half to two weeks, and when you’re ready to take them off you just heat them gently with a hair dryer until they are soft and floppy, then peel them off with zero damage to your nails. A hairdryer can also be used if they start to lift, fusing them back to your nail. So... it's 2011, are you ready for a makeover? When I made an appointment to see Jasmine at the newly opened Louise Gray Skin Care on Ponsonby Road my skin was in dire need of some TLC. It was immediately post-Christmas holidays and a few long and lazy weeks of a little too much sun, Chardonnay and what I like to call “extreme eating” had most definitely taken its toll. I was determined to start the year on the right foot though, and a 75-minute treatment at the hands of the talented South Afrian-born therapist was destined to be just that. It was also a Sunday, which is my favourite day for a treatment - nowhere to go, no make up to wear! It’s the one day of the week that sees many spas and the like shut for business at a time when many of us can actually spare a few hours to really pamper ourselves, which is a huge shame. 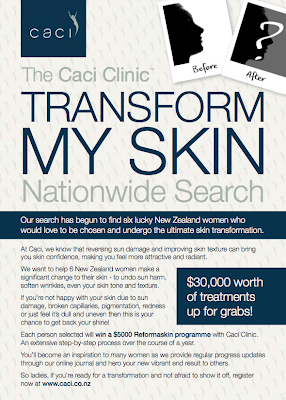 Lucky for us then that Louise Gray and her team are there to help. Louise Gray Skin Care has a unique approach to beauty therapy in that there is no prefabricated selection of services on offer – each treatment is totally customised to your lifestyle and your skin’s needs, using dermalogica products and only after a highly detailed consultation. The treatment you’ll then receive will focus on “ensuring maximum benefits, optimal skin health and complete relaxation”, and mine was no different. The perfect mix of high performance and “feelgood” facial, it included a double cleanse, dermalogica face mapping (a thorough examination of the 14 sections of the face), electronic modalities, a treatment masque and the most deliciously relaxing pressure point face massage that I’ve experienced in a long time. If you have some extra time you can even further customise your treatment with one of their “touch therapies” – a back massage, foot massage etc. 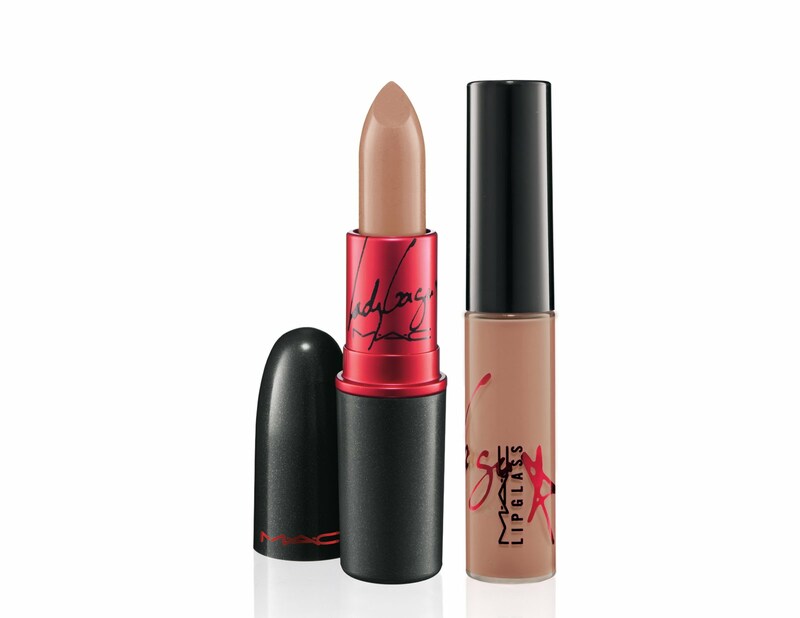 - for 15 minutes of extra attention where you want it most. A factor unique to LGSC is the use of a bt-analyze machine - a hand held, battery operated moisture analysis meter that utilises bioelectric impedance technology with a skin membrane sensor. When placed on the skin, a low level of electrical current is used to measure the conductivity, resistance, and the time in which it takes to obtain the reading. These measurements are calculated against an internal database of statistics to determine the exact final numerical result, which is your skin’s hydration level. This can then be checked before and after your treatment, during which time mine doubled in several key areas. The clever little device means you can actually see whether or not your treatment worked – a factor that is vital when you’re time poor or even when funds are tight and you’ve scrimped and saved in order to give yourself a bit of a treat. 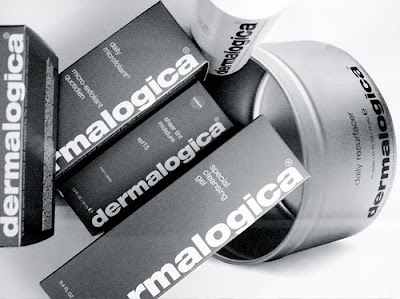 Speaking of time poor, the talented team at LGSC also offer dermalogica’s Microzone “quick fix” treatments that give you skin solutions in 20 minutes. They cost just $50.00 and include flash exfoliation (to resurface, smooth and brighten), hydration (to revitalise dull thirsty skin), age management (a yummy firming vitamin infusion) and spot and blackhead relief for those in need. They also have special treatments targeting men’s skincare concerns. Educated as well as pampered, I leave with great skin, a fabulous new attitude and a product recommendation that I’m gagging to try – the highly respected skincare brand’s Multivitamin Power Recovery Masque, which is part of their AGE smart range. Jasmine calls it “an ambulance in a tube”, and after a season in the sun that sounds like exactly what the doctor ordered! I recently made a very exciting skincare discovery – often few and far between – in the form of the rather gorgeous UK-based Pai Skincare. Rated the number one organic skincare brand by Grazia UK – definitely no mean feat – it was developed by founder Sarah Brown after years of battling skin allergies with seemingly no solution in sight. 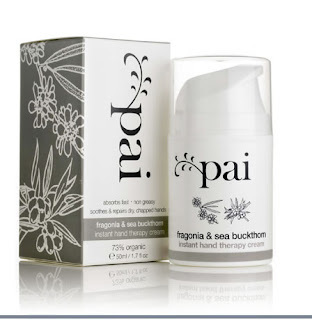 “I couldn’t find anything on the market that was truly natural and worked for me,” she says, “and I was also exasperated by the number of beauty products claiming to be ‘organic’ that weren’t certified and contained a list of chemicals as long as your arm.” It was only natural (pardon the pun) therefore that the Pai organic range was designed with sensitive and allergy-prone skin in mind, and all of the products on offer are made from only the purest plant extracts and are free from chemical irritants such as Alcohol, Propylene Glycol and Phenoxyethanol. They are also all certified organic by the Soil Association, and all ingredients are listed in plain English on the label so you know exactly what is in the bottle – a huge relief after years of being blinded by science by many a skincare brand! 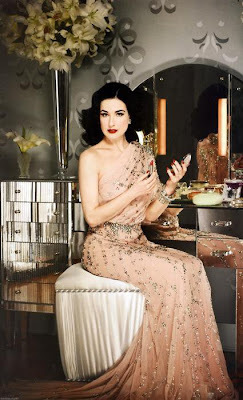 Mario Badescu is a beauty name that has long been synonymous with celebrity – and I’m not talking household faces with million dollar contracts to shill mascara, but rather genuine, raving fans. The Romanian skin care guru is the man behind the skincare range that Hollywood’s It girls rely on to stay fresh-faced and fabulous, and his elegant salon on Manhattan’s East Side remains the spa of choice for savvy New Yorkers and celebrities alike. Names like Charlize Theron and Liv Tyler come for both the incredible results that his treatments produce and the no-nonsense approach that he takes when it comes to creating damn good products, and loyalty amongst his fans is fierce. His creations incorporate natural ingredients based on soothing botanicals, essential vitamin oils and fruit extracts, which combined with advanced technology mean an end result which rejuvenates and protects the skin as well as addressing all manner of issues such as acne and rosacea. I recently started playing with a number of his star products – available in New Zealand at Newmarket beauty haven Glamourpuss – and have grown to love one clever little puppy in particular. 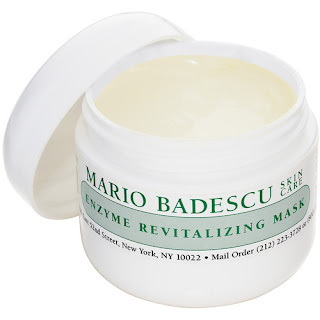 It’s the Enzyme Revitalising Mask, whose main goal in life is to hydrate and revitalize skin up to three times a week. This pot of goodness is a moisture intensive Alpha Hydroxy mask that is ideal for dull, dry or mature skin, or even skin that’s feeling the effect of the Southern Hemisphere’s high humidity and reacting with congestion and the like of late. Papaya and Grapefruit Extracts are the natural exfoliants that you’ll find in the still gentle formula, which have been blended with antioxidant-rich Vitamin A and E oils to give the skin a refreshed, glowing appearance.